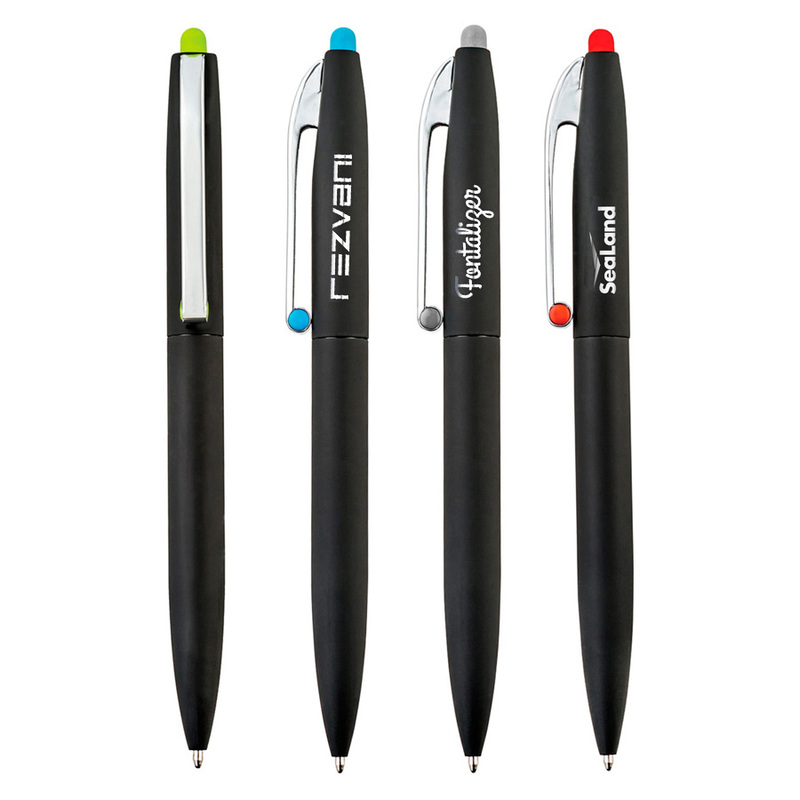 A brilliant gift pen that looks exceptional and houses a premium decoration. 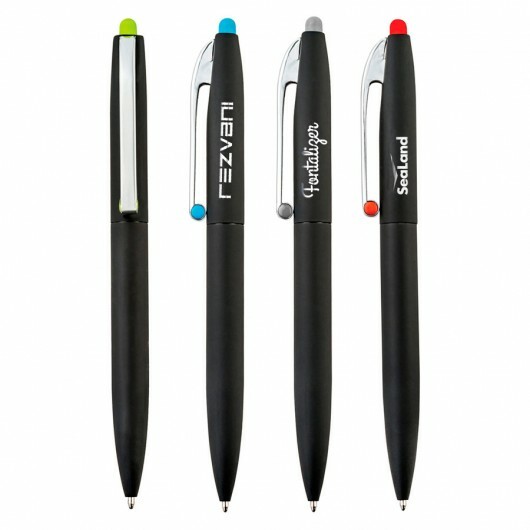 You can spot these pens from a mile away with their black rubber body and coloured accent clip. They are twist action and contain Black German ink. 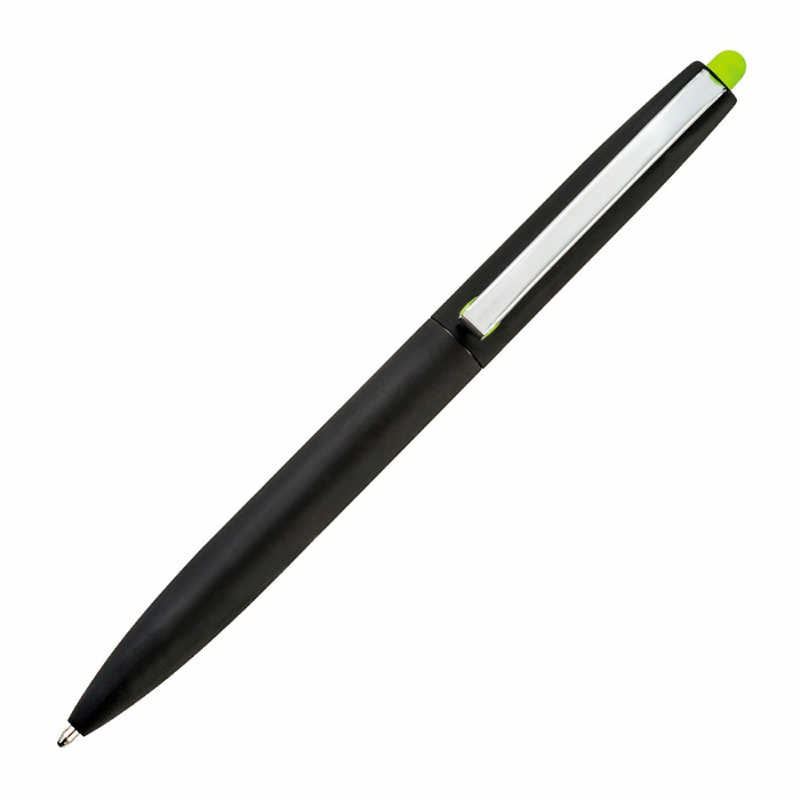 Using a laser engraving a stunning mirror finish decoration is displayed of your logo. 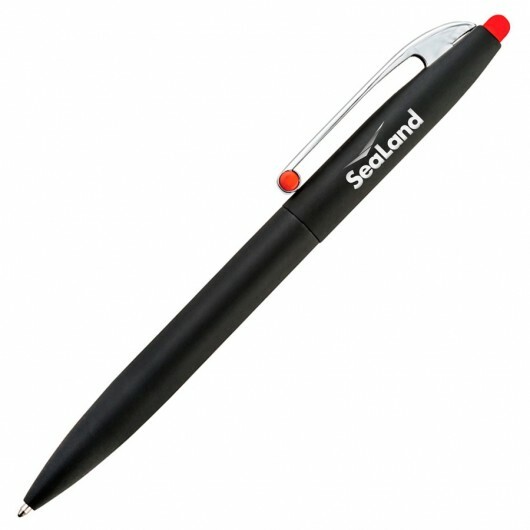 These may also include a black tube packaging - ask us for more information!